The following item was originally posted on The GeoChristian in November 2009, and I have added it to my blog recycling program. Because I have new readers of The GeoChristian, I will occasionally go back and re-use some of my favorite blog entries, with some editing. 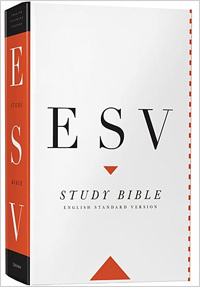 I am re-using this post about the ESV Study Bible for a couple reasons. 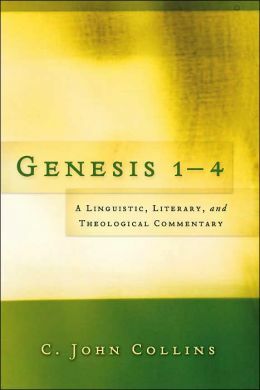 The first is because the ESV Study Bible is a theologically conservative Evangelical work, yet it presents a wide range of interpretations of the opening chapters of Genesis. 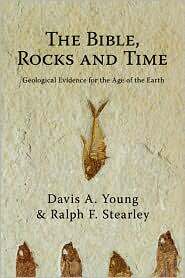 The authors of the study notes, though firmly committed to the inspiration of the Scriptures, believe that it is not necessary to hold to the “literal” young-Earth interpretation of Genesis. My other reason for using this post over again is because I feel that I didn’t really follow through on my original intentions. I had planned a multiple-part series on the doctrine of creation as presented in the ESV Study Bible, but ended after only two posts (this is the second of those). I plan on extending this series in the upcoming months. A few weeks ago, I looked at what the ESV Study Bible had to say about the doctrine of creation in its introduction to the book of Genesis (click here). The ESV Study Bible Introduction to Genesis gives an overview of the various interpretations (calendar-day, day-age, etc. ), a discussion about the relationship between Genesis and science, a statement on the historicity of Adam and Eve, and cautionary notes about interpreting the account of Noah’s flood. The ESV Study Bible is the product of theologically conservative Biblical scholars who are committed to the inerrancy of the Bible, but it clearly does not advocate young-Earth creationism. It does not endorse any of the old-Earth alternatives either, though the notes seem to point in some places to the “analogical days” interpretation (for example, see the notes on 1:3-5 below). I think this is highly significant. Just as the influential Scofield Reference Bible of 1909 lead many to accept the “gap theory” and dispensationalism, so the conservative credentials of the ESV Study Bible could open up the eyes of many to the merits of old-Earth interpretations in general, and more specifically, the analogical days interpretation. 1:1-11:26 Primeval History — In contrast to the patriarchal stories, however, other ancient nonbiblical stories do exist recounting stories about both creation and the flood. The existence of such stories, however, does not in any way challenge the authority or the inspiration of Genesis. 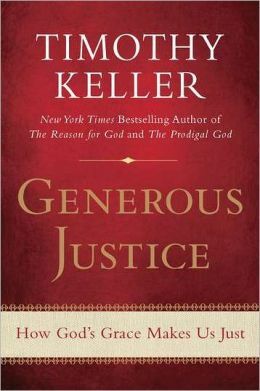 In fact, the nonbiblical stories stand in sharp contrast to the biblical account, and thus help readers appreciate the unique nature and character of the biblical accounts of creation and the flood. In other ancient literary traditions, creation is a great struggle often involving conflict between the gods. 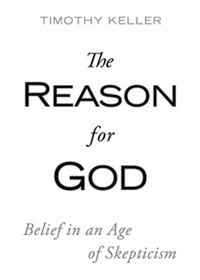 […] Reading Genesis, readers can see that it is designed to refute these delusions. There is only one God, whose word is almighty. He has only to speak and the world comes into being. The sun and moon are not gods in their own right, but are created by the one God. This God does not need feeding by man, as the Babylonians believed they did by offering sacrifices, but he supplies man with food. It is human sin, not divine annoyance, that prompts the flood. Far from Babylon’s tower (Babel) reaching heaven, it became a reminder that human pride could neither reach nor manipulate God. These principles, which emerge so clearly in Genesis 1–11, are truths that run through the rest of Scripture. The unity of God is fundamental to biblical theology, as is his almighty power, his care for mankind, and his judgment on sin. It may not always be obvious how these chapters relate to geology and archaeology, but their theological message is very clear. Read in their intended sense, they provide the fundamental presuppositions of the rest of Scripture. These chapters should act as eyeglasses, so that readers focus on the points their author is making and go on to read the rest of the Bible in light of them. 1:3-5 — By a simple reading of Genesis, these days must be described as days in the life of God, but how his days relate to human days is more difficult to determine. 1:6-8 — Water plays a crucial role in ancient Near Eastern creation literature. In Egypt, for example, the creator-god Ptah uses the preexistent waters (personified as the god Nun) to create the universe. The same is true in Mesopotamian belief: it is out of the gods of watery chaos—Apsu, Tiamat, and Mummu—that creation comes. The biblical creation account sits in stark contrast to such dark mythological polytheism. In the biblical account, water at creation is no deity; it is simply something God created, and it serves as material in the hands of the sole sovereign Creator. Gen. 1:14–19 — This section corresponds closely with the ordering of Day and Night on the first day, involving the separation of light and darkness (vv. 3–5). Here the emphasis is on the creation of lights that will govern time, as well as providing light upon the earth (v. 15). By referring to them as the greater light and lesser light (v. 16), the text avoids using terms that were also proper names for pagan deities linked to the sun and the moon. Chapter 1 deliberately undermines pagan ideas regarding nature’s being controlled by different deities. (To the ancient pagans of the Near East, the gods were personified in various elements of nature. Thus, in Egyptian texts, the gods Ra and Thoth are personified in the sun and the moon, respectively.) The term made (Hb. ‘asah, v. 16), as the esv footnote shows, need only mean that God “fashioned” or “worked on” them; it does not of itself imply that they did not exist in any form before this. Rather, the focus here is on the way in which God has ordained the sun and moon to order and define the passing of time according to his purposes. 1:28 — God’s creation plan is that the whole earth should be populated by those who know him and who serve wisely as his vice-regents or representatives. subdue it and have dominion. The term “subdue” (Hb. kabash) elsewhere means to bring a people or a land into subjection so that it will yield service to the one subduing it (Num. 32:22, 29). Here the idea is that the man and woman are to make the earth’s resources beneficial for themselves, which implies that they would investigate and develop the earth’s resources to make them useful for human beings generally. This command provides a foundation for wise scientific and technological development; the evil uses to which people have put their dominion come as a result of Genesis 3. over every living thing. As God’s representatives, human beings are to rule over every living thing on the earth. 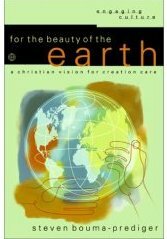 These commands are not, however, a mandate to exploit the earth and its creatures to satisfy human greed, for the fact that Adam and Eve were “in the image of God” (1:27) implies God’s expectation that human beings will use the earth wisely and govern it with the same sense of responsibility and care that God has toward the whole of his creation. My purpose here is primarily to look at the ESV Study Bible as it relates to topics such as Earth history. It is certainly an excellent study resource, no matter where one stands on the age of the Earth issue, and will help anyone to grow in their knowledge of God and his Word. The ESV Study Bible is a theologically conservative Evangelical work, and is certainly one of the most comprehensive study Bibles ever produced. It has been out for only three years, but it looks like it will be a highly influential reference work for decades to come.One potential positive impact of the ESVSB relates to its treatment of the doctrine of creation. The ESVSB does not take a stand on geological issues such as the age of the Earth or the extent of the flood. In both of these cases it offers cautionary notes that could open the doors to old-Earth interpretations for many readers. 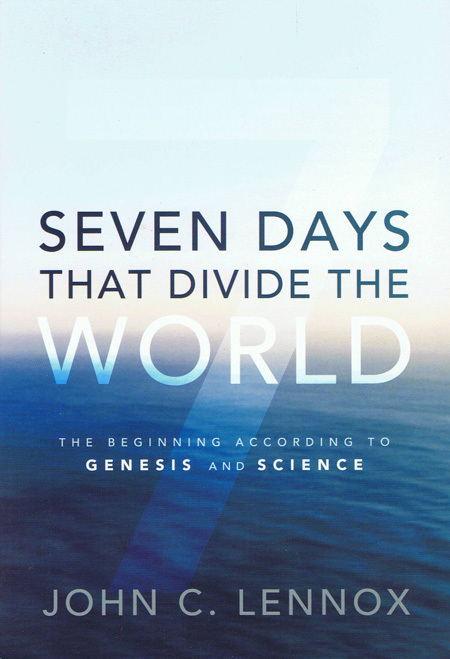 The authors of the study notes, though firmly committed to the inspiration of the Scriptures, believe that it is not necessary to hold to the “literal” young-Earth interpretation of Genesis.My hope and prayer is that, just as the Scofield Reference Bible led many to accept the Gap Theory (rather than young-Earth interpretations) a century ago, so the ESVSB will introduce Christians of our day to alternative viewpoints on Genesis 1, such as the analogical days and day-age interpretations. The ESV Study Bible on creation — Dinosaurs in Job? Could the introductions and notes in the ESV Study Bible be wrong on these things? Yes. Could the young-Earth creationists be wrong in their interpretation of these things? Also yes. But it is clear that there are a number of conservative, Bible-believing scholars who either advocate or are willing to accept an old Earth and local flood. Based on external evidence, as well as Biblical exegesis, I choose to side with the old-Earth Biblical scholars. 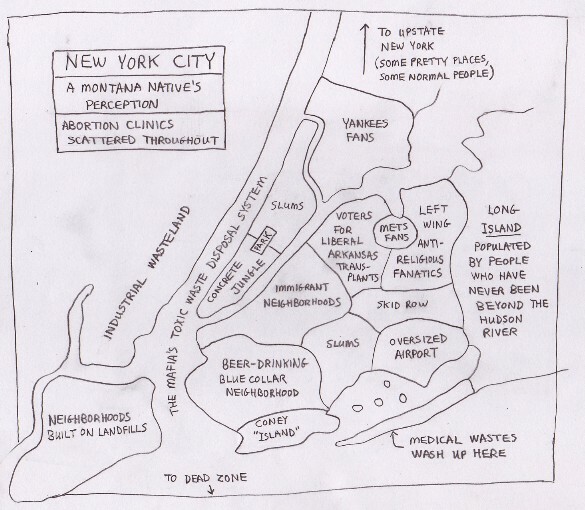 Being that the dreaded Yankees won the World Series, here is my map of New York City, as originally posted in December 2007.